The makerspace movement has been gaining momentum, especially in public libraries across the country. Where libraries were once focused on the curation and management of print collections, their purpose now has shifted towards creating a place for broader educational needs and community engagement. Makerspace—where people come together to create, invent and learn—is a natural fit for libraries, where seeking knowledge and growth is already the norm. Did You Know? The makerspace movement is gaining so much popularity that President Barack Obama has declared June 18th the “National Day of Making.” Americans are to observe this day with programs, ceremonies and activities that encourage a new generation of makers and manufacturers to share their talents and hone their skills. 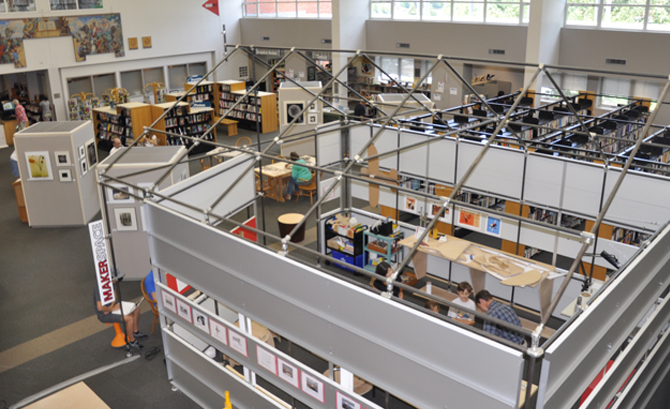 Library makerspaces can be simply be open area with tables and seating for work and collaboration. They can also be actual workshop spaces with tools and supplies for more hands-on creation. Examples range from carpentry tools to audio recording and musical instrument rental, to 3D printing services and computer stations for graphic design or computer programming. Now in its second year, Westport Library in CT has been offering an array of free and fee-based makerspace programs, including 3D printing, computer programming, language conversation groups, writing, animation and tools available for making toys and models. The makerspace program has been very successful at generating visitors from all age groups, including over 8,000 visitors in just the first year alone. 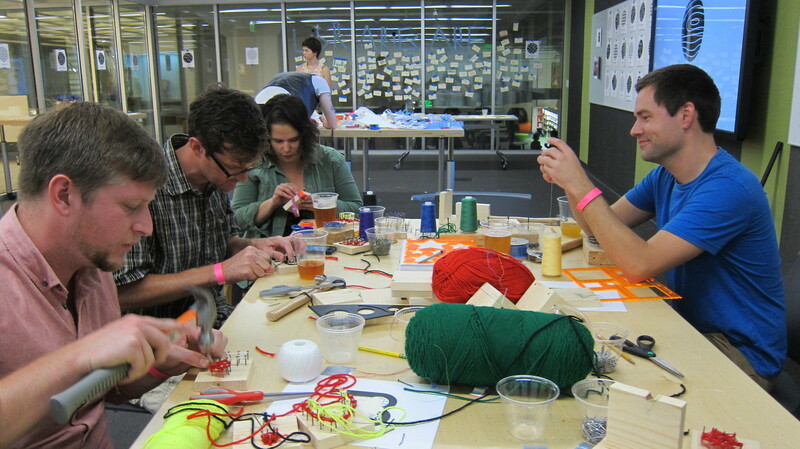 The Madison Public Library created a new, free, makerspace program in 2013 called the Bubbler. Bubbler classes were, at first, pop-up events held at locations throughout the city that were taught by local artists and other experts who would also provide supplies and equipment. With the re-opening of Madison Central Library in 2014, new public meetings spaces and collaborative areas were created to bring the Bubbler into the physical library space. Area quiltmakers, animators, welders, printmakers, brewmasters and other experts will be brought in to the library for workshops, day classes or lectures. One of the biggest obstacles that people run into when creating a makerspace program is where space can be found. 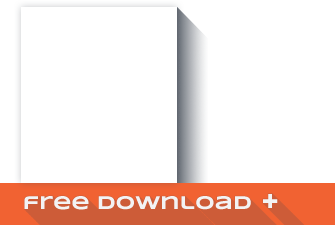 Whether you’re just getting started with the planning of your library makerspace program or simply repurposing your space for collaborative work areas, Spacesaver can help. Long gone are the days when the main purpose for libraries was to store books and media for the community to borrow. Today, Libraries are repurposing their spaces to provide collaborative areas, private rooms for meetings and conferences, workshops or makerspaces, lounges and cafes. Library repurposing has become a pro-active trend used to maintain and grow patronage, and also to better support the community. 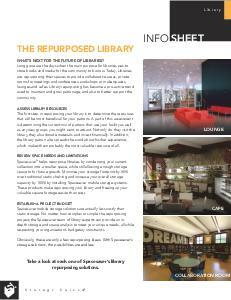 Download The Repurposed Library Info Sheet to learn more about trends and solutions that are changing the way we view libraries. The Westport Library makerspace. Photo credit Westport Library.